Murderous extremists are exploiting the Muslim world’s vast desire for a true Caliphate. The best way to stop them is to build one. This week marks the first anniversary of the US-led air strikes against the Islamic State of Iraq and the Levant (ISIL). Instead of collapsing, however, Isil has expanded deep into the Syrian heartland, occupying the ancient city of Palmyra last May. One year down the road, it still controls al-Raqqa and Mosul and boasts of 30,000 fighters brutally controlling the lives of six million innocent Syrian and Iraqi souls. Clearly, from the twelve month escapade of the United States and its allies, air strikes are not working. Boots on the ground, provided by the Syrian and Iraqi armies, might expel ISIL from its current strongholds, but such a victory would be cosmetic and would not last. 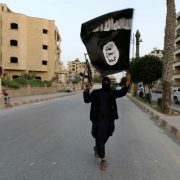 ISIL will quickly re-emerge in different cities, with different names and players. The Islamic State, after all, is more of an ideology than anything else, based on a carefully crafted distortion of Sunni Islam. It travels long distances within seconds and settles in the minds and hearts of people, regardless of their age or financial background. Much of the brainwashing is done through books, sermons, and online videos. It therefore can only be fought with a counter-ideology, based on similar foundations from Muslim history. Trying to eradicate it with a secular doctrine would be as useless as trying to bomb it from the skies of Syria. Isil has all the trappings of statehood: a metropolitan capital, an army, a police force, an intelligence service, a school curriculum, a national anthem, a national flag, and coffers oozing with oil money. 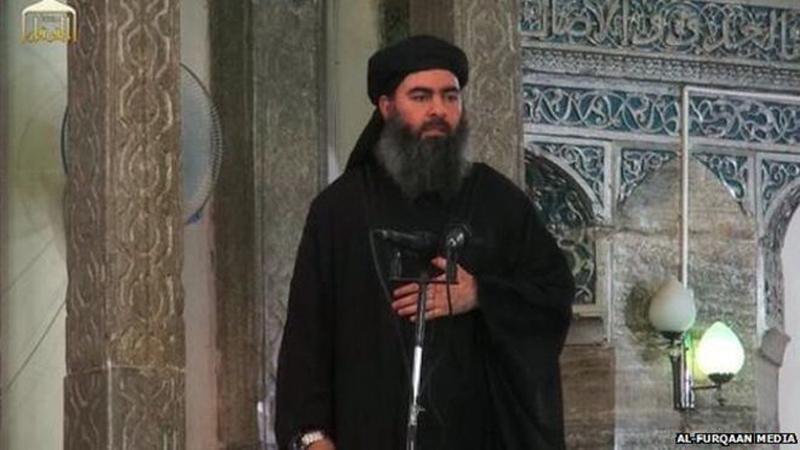 Its leader Abu Bakr al-Baghdadi, who self-proclaimed himself caliph in the summer of 2014, has survived not only because his states appears functional but because there is something appealing about him. It’s his job title: he really thinks he is the caliph of Islam, which means successor to the Prophet Mohammad. Many people really believe him. All pious Muslims well-read in the Hadith (the compiled sayings of the Prophet) firmly believe in the need to establish an Islamic State headed by a Muslim Caliph. This is mentioned twice in the Holy Quran and it’s central to the Islamic faith. No Muslim scholar would debate an Islamic state and the caliphate. Muslim Sunnis claim that the caliph should hail from Meccan notability. Shiite Muslims add that he must be from Ahl al-Bayt; a member of the prophet’s family. That is why Abu Bakr insists on signing off all his communiqués with “al-Qurashi al-Hassani” (descendant of the Prophet’s grandson, from the Quraysh clan of Mecca). Western journalists tend to drop both titles for sake of practicality, but for the Islamic State and its propaganda machine, they are essential to al-Baghdadi’s legitimacy. When the last official Ottoman caliphate was abolished in 1924, Damascus Muslims created a Caliphate Society to headhunt for a suitable caliph, claiming that unless the job is immediately filled by a suitable candidate, a charlatan will emerge one day to assume the title for himself. That exactly is what Abu Bakr did eighty years later. He did not invent the idea. He simply tailored it to suit his political ambitions. The problem therefore is not with Abu Bakr but with how he managed to manipulate Muslim thirst for an Islamic State and Caliphate. If the conditions were ripe and the caliph was a capable and sane leader, few Muslims would complain. If for example, Abu Bakr is replaced by a caliph who wears a modern suit and trims his beard — one who doesn’t order decapitation of prisoners or the destruction of statues — more people would gather the courage to come out expressing public support. To create a counter-hero and counter-ideology, we first need to break ISIL’s claim to represent Sunni Islam. In other words, we need to de-Sunnify them first, and then, to create a counter-caliph to deprive Abu Bakr of the argument that sells so well in the Muslim world. We need to hollow them out from the very same position of legitimacy that he claims. Abu Bakr, after all, emerged at a time of complete lack of Sunni Muslim leadership throughout the Arab World. He simply emerged to fill a vacuum. Thanks to Khomeini, modern Shiites have one authority to follow. Christians have the Pope, while Ismailis have the Aga Khan. Sunnis, however, have nobody but Abu Bakr al-Baghdadi. Due to the tragic war, there is no Sunni leader in Syria. There is no Sunni leader in Lebanon after the 2005 murder of Rafik al-Hariri. There is no Sunni leader in Iraq after the execution of Saddam Hussein in 2006. 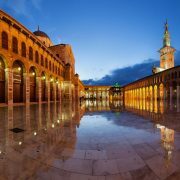 They were local leaders with no religious legitimacy, but they represented Sunni communities in light of the Sunni-Muslim divide in the Arab World. 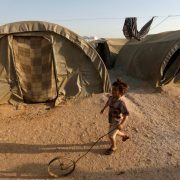 Sunnis of today, however, feel weak, headless, victimized, and abandoned. Turkish President-elect Recep Tayyip Erdogan tried to play the role of Sunni leader, but being non-Arab, he always had a language and cultural barrier with Arab Muslims. 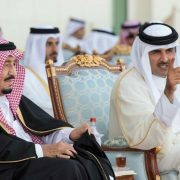 The House of Saud tried to play the role of Sunni leadership in the Arab and Muslim worlds, but their form of radical Wahhabi Islam always got in the way of their success, along with the advanced age of their monarchs, who have all been way past retirement age. This is what makes Abu Bakr al-Baghdadi so dangerous. He is young and ambitious, playing in fertile and void territory. Sunni victimization is at its highest ebb, and, given no alternative, more will pledge allegiance to the caliphate. Whether he personally survives or not is not important. He might depart the scene soon, but the school of thought that he is using will live long in the minds of Muslims worldwide. So we need to create a new leader, or modern counter-caliph, to start recruiting members from Abu Bakr’s constituency, dismantling his power base one man at a time. Countering religion with religion is key, but it has to come with work opportunities, education, and a better life that would convince Muslims that life is worth living — not dying for. 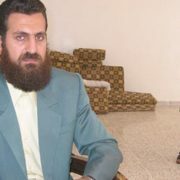 Syria's Abu al-Qaqa: Authentic Jihadist or Impostor?